Meiela is a home for intellectually challenged youths from the Estonian southwest. The majority of them received their elementary education at the Järve School in Võru and underwent further training at the Vocational School in Vana-Antsla. Years of schooling have prepared these young people to cope with the tasks of normal daily life. Intellectually challenged youths also have a need to live an independent life, feel wanted, engage in work. In Meiela the youths along with their counselors will live in a village-like community. Four people with special needs and at least one counselor-trainer will form one family unit. Work and home maintenance chores are handled jointly, following common management principles. The Meiela Support Center owns a 40-hectare site in Nõnova village, Lasva township, some 12 kilometers from the town of Võru (see history). The unfinished main building is located next to the Nõnova bus station. It was designed in 1999 as an environmentally-friendly project. Due to financial constraints the building is temporarily mothballed. 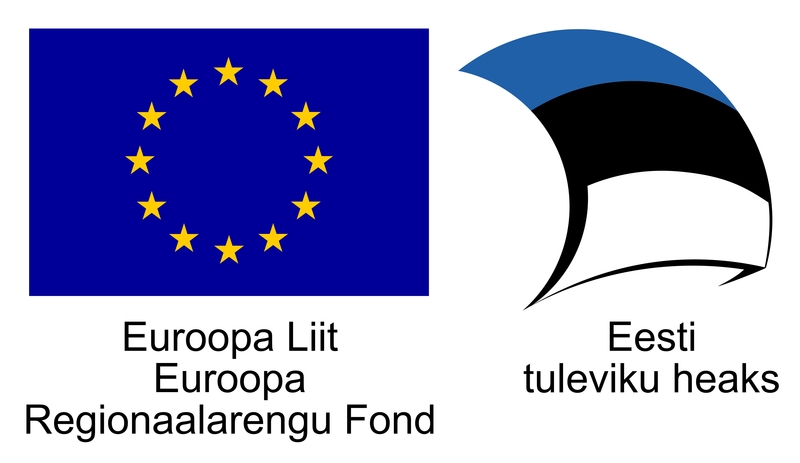 In 2008 a cooperation agreement regarding design and construction was concluded with the Estonian University of Life Sciences/Eesti Maaülikool (see sponsors). The center is to become a laboratory for environmentally friendly and energy efficient planning and construction. Construction should continue as soon as possible, otherwise the existing, mothballed structure will be irreversibly damaged. Most of the needed lumber is on hand. First stage plans include completion of the main building with residential rooms and workshops. The main building will also house a library, various offices, an assembly hall, a kitchen, and a basement pool. Further, plans call for rehabilitation facilities, an athletic field, parking lot, garden plots, and general landscaping. Plans for the completion of the village include construction of family units; the necessary surveys have been done. Completion of the first stage requires a minimum investment of 15 million kroons. And all this is to to be done in an environmentally friendly manner, using local materials wherever possible. We are assisted by friends including the Järve School (www.jarvekool.ee), Võru Day Center and parents, all willing to lend a helping hand and to share their experiences. In Võru county, on the highest hill of Nõnova village, stood the Höörde farm that has played a role in Estonian history. The farm belonged to Peeter Vremann (changed to Veermaa in 1936), one of the most innovative farmers far and wide. 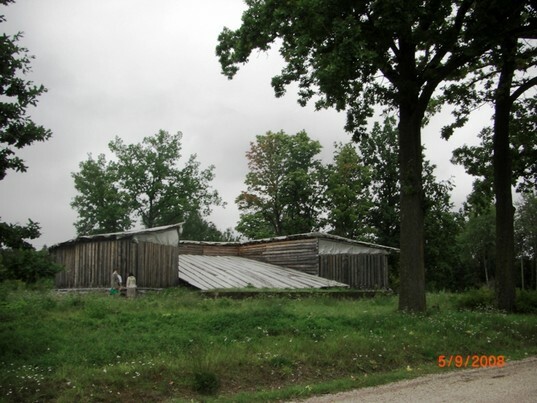 Men from this farm played leading roles in Estonian defense and law enforcement structures. 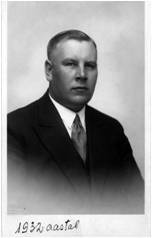 Friedrich Vreeman, head of the Võru county Defense League and chief of the southern military district in the early days of the Estonian War of Independence, hails from here. On December 5, 1918 the first defensive encounter on the southern front during the Independence War was fought on the farm. The Estonian forces under F. Vreeman’s command repelled the advancing Reds. 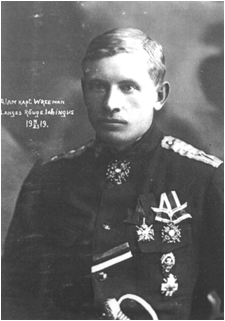 Friedrich Vreeman was killed on March 23, 1919 in the Rõuge battle. He is buried on the family plot in Pindi cemetery; in the fall of 1994 his grave marker, destroyed during the Soviet period, was restored. Richard Vreeman, born and raised on the same farm, also participated in the War of Independence. 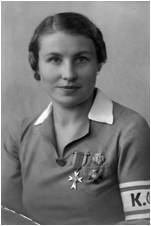 From 1935-1939 he worked in the Estonian ministry of interior and the police directorate. 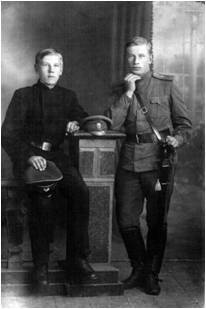 He perished on February 19, 1942 in the Solikamsk death camp. 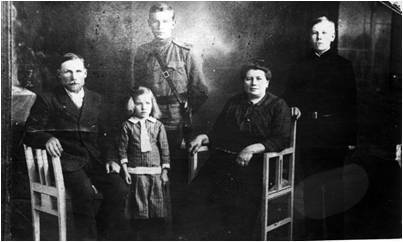 Farm daughter Ireen married Konstantin Kirsipuu, deputy director general of police who disappeared without a trace early in the Soviet occupation. Ireen’s two sons joined the U.S. military after making their way to America. The older son, Tõnis, a test pilot, was killed on February 2, 1960, the younger son, Rein, was killed in action in Korea on June 11, 1953. The only one of Ireen’s family to survive is daughter Tiiu Rita Yarborough, who, along with her brothers and mother, went through all the perils and hardships of a war refugee, bereft of everything. And when she received back her grandfather’s homestead after the collapse of the Soviet system, she wanted to bequeth it to the Estonian people with a wish that it serve as a home for children who had lost self-confidence and domestic security. In 1999, under Kalle Arumae’s leadership, an NGO was formed to carry out the donor’s wishes. The idea was to establish a Võru county residential child care facility by 2001. Architect and artist Leonhard Lapin drew up the design. The foundations and basement were completed and work was begun on the first floor, but for lack of finances construction stopped and the building was mothballed. When the Ministry of Social Affairs reformed the child care system it was decided to abandon the idea of a residential child care facility and look for alternative uses for the site. On February 14, 2008 the NGO Meiela was estabished. Instead of a child care facility planning began for a communal residential facility for intellectually challenged youths. Objective of the project: to organize a 3-day camp for children and youngsters with intellectual disability and an informative seminar on the variety of available support grants and services for the parents on the opening day of the camp. Objective of the project: increasing the social inclusion of persons belonging to risk groups. Objective of the project: to draw more attention to the problems disabled people have to face every day and to find sympathisers and helpers through organizing a series of concerts. Purpose of the investment: to design external utility network and infrastructure civil engineering works next to the Work Aid Centre’s main building that is under construction; to draw up a detailed plan. The engineering will be carried out by Eesti Maaülikool (Estonian University of Life Sciences). Participating in Estonian Unemployment Insurance Fund’s procurement Tööharjutus (Work Exercise). Increasing the social inclusion of persons belonging to risk groups and their acceptance into the developed Estonian society.